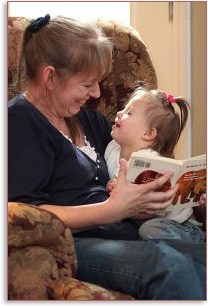 Contact an Experienced NJ Special Needs Trust (SNT) Attorney Today. Life is hard without being disabled. The life of a disabled child or adult can be even harder, more isolated and full of anxiety, fear and frustration. The future is less certain especially if the caretaker is getting older or is declining in health. I truly understand these emotions and concerns. I’m here for you. Millions of Americans have disabled family members. The cause may be genetic or from birth, from a serious accident, injury, and countless other physical, mental reasons. Even if you don’t have a disabled family member, you know many individuals who are. Cognitive and physical disabilities are not limited to a particular racial or socio-economic group. If you have a child (young or older), or if you know someone who is disabled, you simply must know about Special Needs Trusts. These trusts are designed to protect the income and property for the benefit of an individual who is receiving public benefits (or likely to receive public benefits in the future) without causing a disqualification of those benefits. If the person is receiving Supplemental Security Income (SSI), Social Security Disability (SSD) or some form of state aid or assistance (i.e. Section 8 housing, food stamps, prescription assistance), they will remain eligible for these benefits with a properly drafted Special Needs Trust. New Jersey Special Needs Trusts. Special needs is a term used in clinical, diagnostic and functional development to describe individuals who require assistance for disabilities that may be cognitive or psychological. Individuals with Autism, Down syndrome, dyslexia, blindness, developmental disability or cystic fibrosis for example, may be considered to have special needs. But eligibility for a SNT is not just limited to special needs persons. A disabled person also qualifies. A Disabled person is defined as a person who has a physical or mental impairment that substantially limits one or more life activities. It can be cognitive, developmental, intellectual, sensory or a combination of these. Please Listen to Me! You Need a Special Needs Trust for an Impaired, Disabled or Incapacitated Minor Child, Adult Child, Sibling or Family Member in New Jersey. From start to finish, the entire experience of the “dreaded” estate planning and especially preparing our special needs child trust agreement went so smoothly. That is thanks to the professionalism and dedication of Mr. Niemann and his wonderful staff. Mr. Niemann, with the help of Lucille and Michele managed to guide us with sound advice, answer each and every question that arose (and there were many!) with the utmost patience, sensitivity and always with a smile on their faces. Thank you from the bottom of our hearts! We will be counting on all of you for helping us to obtain guardianship of Hannah next year! Please accept my sincere thanks to your law firm, to you, Lauren Bercik and your staff for all of your patience and assistance in helping my sister and I through the tangled legal jungle in preparation for my sister’s Special Needs Trust account. We would have been lost without you. Why use a Special Needs Trust for a Special Needs disabled individual? The disabled beneficiary will keep his/her income (SSI or SSD) and health care benefits, including Medicaid and Medicare. Parents and grandparents can control how, when and where trust assets go after they are deceased. The only alternatives to the Special Needs Trust are (1) leaving nothing to the child; or (2) leaving money in trust that is not a SNT and cause the loss of public benefits. If you leave money to a disabled child outright, he or she will lose public benefits. After the assets are spent down to under $2,000, the child can go back on public benefits. All the money you have given will be lost. It is so easy to solve this mistake with a Special Needs Trust. Contact Fredrick P. Niemann, Esq. of Hanlon Niemann toll-free at (855) 376-5291 or email him at fniemann@hnlawfirm.com. As a father himself, Mr. Niemann is a sensitive and caring attorney willing to help you achieve the brightest possible future for your child or family member. There are two types of special needs trusts. A special needs trust will be either a “Third Party Trust” or a First Party Trust. I know that’s a mouth full. Let me make it easier to understand. You may initially determine whether a special needs trust is a Third Party Trust or First Party Trust by looking at the source of the assets used to fund the trust. If the assets used to fund the trust do not belong to the beneficiary, or if they are not deemed to belong to the beneficiary, then the trust is a Third Party Trust. In other words, a Third Party Trust will always be established by someone other than the disabled, special needs person with funds in which the beneficiary has no ownership interest. For example, funds coming from a parent, grandparent or sibling are owned by the parent, etc. They are not the funds owned by the child/disabled adult. There are two general requirements for a Third Party special needs trust to be deemed “legal”. First, these trusts must be established by someone other than the trust beneficiary. Third Party Trusts are usually established by parents of adult or minor children, grandparents, aunts, uncles, siblings, friends, or any other independent party with no legal duty to support the trust beneficiary. A spouse cannot be considered a third party. The second key requirement is that these trusts must be established with funds in which the beneficiary has no ownership interest. Third Party Trusts can be more easily adapted to the needs and wants of the person creating the trust and can therefore be part of a more traditional estate plan. They can be revocable or irrevocable, and most significantly, do not require any “payback provisions” to New Jersey upon the death of the beneficiary. Payback provisions are critical and should always be avoided when possible. I’ll explain why in the last part of the section which follows immediately below. The Trust must be created solely for the benefit of an individual who is disabled as defined by law and who is under 65 years of age. The trust may only be established by the adult disabled person, the individual’s parent(s), grandparent(s), legal guardian, Power of Attorney (POA), or by a Court. The Trust must be established with the funds and assets belonging to the individual, not a third party like a parent or grandparent like I described immediately above. Any funds that remain in the Trust at the disabled individual’s death must be used to reimburse the State for medical benefits provided over the individual’s lifetime. This requirement to reimburse the State is commonly referred to as a “payback provision”. This payback requirement is what distinguishes a Special Needs Trust (First Party SNT) from a Supplemental Needs Trust (Third Party SNT). Some people have heard about Pooled Trusts, but most people have not. What are they? Well, these trusts are referred to as (d)(4)(C) trusts. They are trusts managed and invested by non-profit organizations under IRS Code 501(c). These organizations serve the disabled community. With a pooled trust the funds of the disabled person are invested with hundreds/thousands of other disabled persons in a common trust fund for the economic benefit and welfare of each disabled person. Each participant has their own separate sub-trust in a large master trust and each participant has their own tax id number. To establish a valid Pooled Trust, it must satisfy the legal requirements set forth below in plain language. The Trust must be established and managed by a non-profit association. The Trust must maintain separate accounts for each Beneficiary, but the funds are pooled for purposes of investment and management. Each separate Trust account must be established solely for the benefit of an individual who is disabled as defined by law, and it may only be created by that individual, the individual’s parent, grandparent, legal guardian, or a Court. There are no age restrictions or requirements. The individual’s account must be established with assets belonging to that individual. Any funds that remain in the individual’s account at death may be kept by the non-profit trustee for their charitable purpose(s). Any funds not retained by the Trust must be used to reimburse the State. This may be referred to as a modified payback requirement. New Jersey allows Pooled Trusts for individuals age 65 and younger. It does not allow Pooled Trusts to be created by individuals past the age of 65. CALL OUR OFFICE TODAY AND ASK FOR MR. NIEMANN TO PERSONALLY DISCUSS WHETHER A SPECIAL NEEDS TRUST IS RIGHT FOR YOU. CALL HIM TOLL-FREE AT (855) 376-5291 OR YOU CAN EMAIL HIM AT fniemann@hnlawfirm.com.